I think all children of the 80s and 90s have the same McDonald’s Happy Meal toys—lots of Fraggle Rock, Muppet Babies, those Barbies and Hot Wheels, and of course—Changeables. Overall, Changeables has to be my favorite Happy Meal toy series. Well, series…es—there were three different lines that were released. 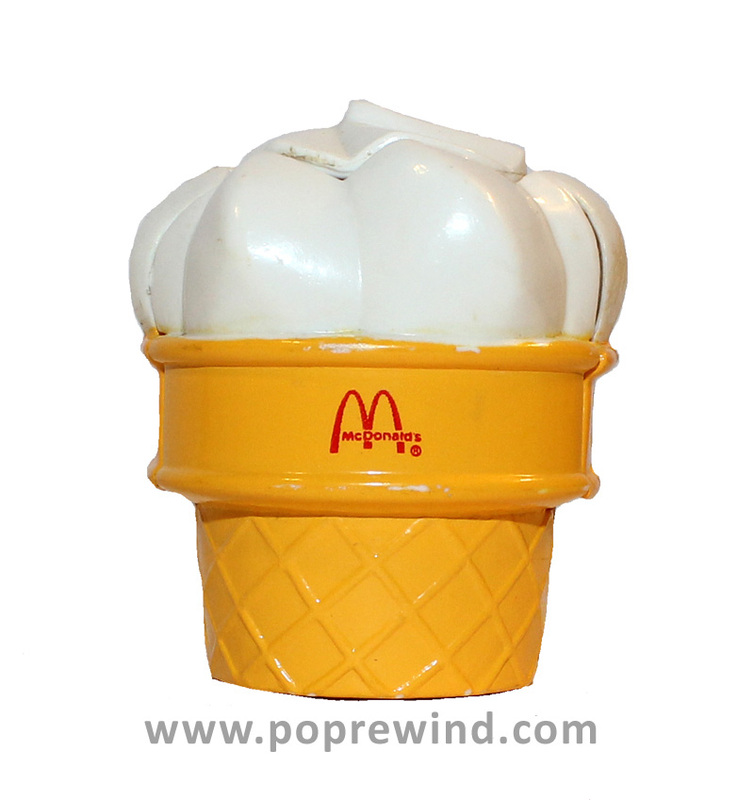 This is the Ice Cream/Turbo Cone from Series 2 (1989). 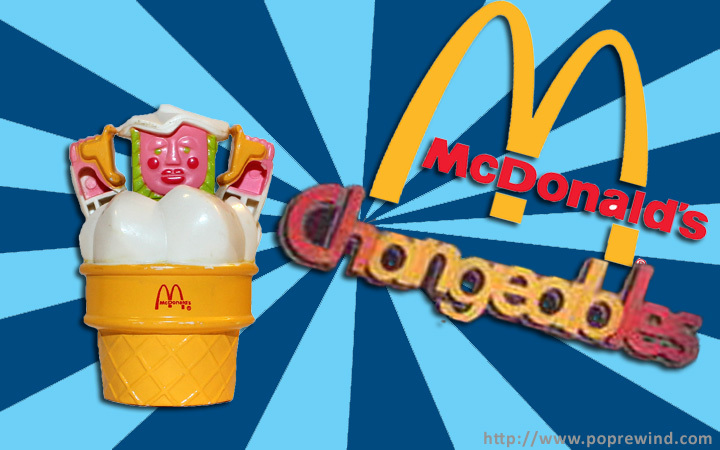 Changeables started out as a mild-mannered McDonald’s food, in this case an ice cream cone, that transformed into a robot (or in series 3, a dinosaur). That was pretty awesome of McDonald’s—combining two of my favorite things: food and robots (and later… dinosaurs). I also own Large Fries from Series 1 (1987) and Hot Cakes-O-Dactyl from Series 3 (1990), but those have yet to be found in the larger junk pile that is my house. Did you own any Changeables? 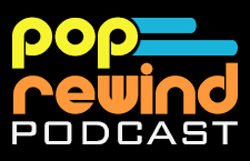 What was your favorite? 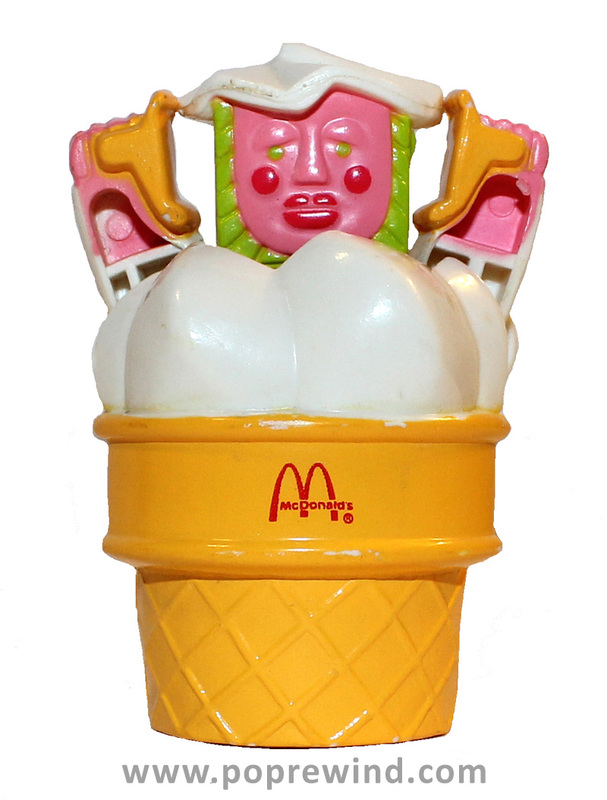 I had quite a few of these in my McDonald’s toy pile as a kid. Mainly the dinosaurs, but I also had the first shake robot. I love stumbling across these and a lot of the other old McD’s toys at flea markets and thrift stores. It brings back a lot of memories to hold them in my hand again.